Courtesy of BEACH LIFE REALTY. Cute, bright, & clean updated condo with HARDWOOD FLOORS available in Rivertown Condo Community near Stetson University in DeLand. This 2 bedroom 2 bath second floor unit has an open floor plan with all STAINLESS STEAL appliances, KITCHEN ISLAND, newer front load washer/dryer appliances and sunny outdoor deck for enjoying your morning coffee. Condo community features: gated remote access to owner’s parking lot, community pool, pest control and manicured grounds. To increase the safety and security of the community and its residents, visitors will require a security access code to enter community from the two available visitor parking lots. This is a beautiful condo, priced to sell and will not last long! Amenities Additional Fees: Pool key requires a $100.00 deposit, which stays on file with management company 13; Two security gate remote car door openers are included in purchase price 13; Unit comes with two assigned parking spots within gated area for owners and family members. 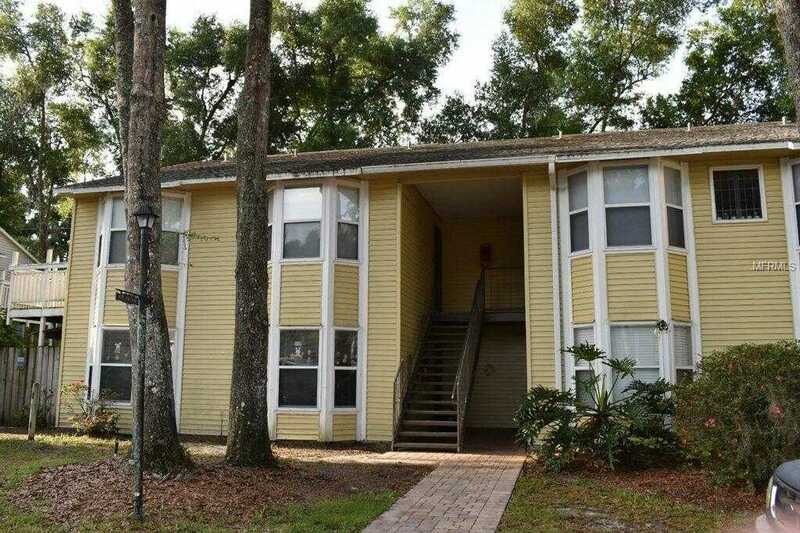 Please, send me more information on this property: MLS# V4906415 – $95,000 – 100 S Colorado 164 #164, Deland, FL 32724. I would like to schedule a private showing for this property: MLS# V4906415 – $95,000 – 100 S Colorado 164 #164, Deland, FL 32724.